Even though Mercedes has not yet revealed the new E63 AMG, those at the Auto Sport have released a teaser with the new generation of model performance, which will be offered as a prize in a contest organized by the German magazine. Turning to the new Mercedes E63 AMG, many details about it are unknown. What is known is that German limo will be powered by a V8 engine of 6.3 liters that develops 525 horsepower and will have a transmission with seven gears. In terms of appearance, we disclose this photo a front spoiler with new face, new wheels and a five-spoke design. 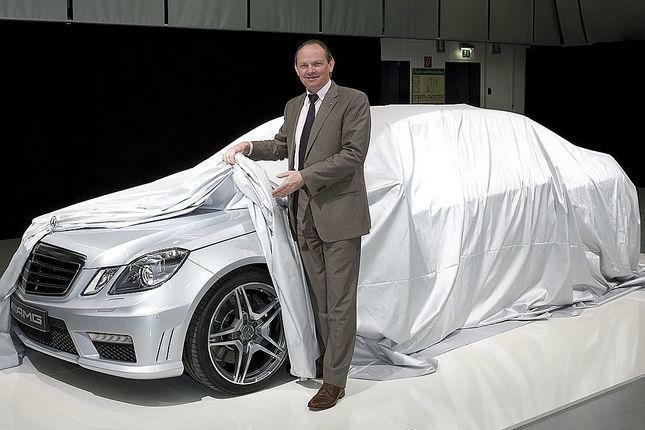 The new Mercedes E63 AMG will start next month at the New York International Auto Show.